Military and civil organizations worldwide are presently looking at the possibilities of using unmanned aircraft for cargo transport, ranging from fast package delivery in urban areas and long-range direct flights to areas without easy access to bubs, to supplies of medicine and ammunition in crisis and combat areas. Furthest along are probably the U.S. Marines, who deploy the K-MAX unmanned helicopter operationally in Afghanistan. The K-MAX is versatile and well suited for tactical use, but helicopters are by their nature inefficient for moving larger loads over longer distances. 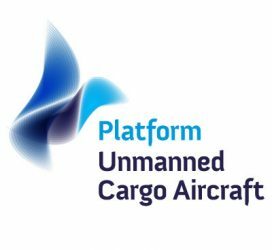 A group of Dutch and international organizations, the Golden Triangle Group (GTG), is presently studying the possibilities of developing and operating a military unmanned cargo aircraft (MUCA) and its accompanying logistics systems and Concept of Operations (ConOps). Represented in GTG are: the Royal Netherlands Army and Air Force, the Hague Center for Strategic Studies (HCSS), Fokker, the Dutch Defense Companies’ Association (NIDV), Airbus Defense & Space, and the University of Twente. Other partners are welcome. The aim of GTG is to explore possible applications for MUCA, identify possible ConOps and configurations, subsequently initiating the development of a MUCA (probably the first of a family) and establishing a Center of Excellence on MUCA so as to obtain, preserve and dissimilate expertise for its partners and other interested parties. The focus of GTG is on MUCA with a payload of 1-15 tonnes, with a range of 300-5000 km, with short take-off and landing (STOL) capabilities. There is no heavy and costly crew accommodation needed. Long distances can be covered at economical cruising speed without concern for crew fatigue. It should be possible to bring cargo straight tot the operational area, without having to load it first into a C-17, then into a C-130 and then into a lorry. Crew and aircraft location can be decoupled, increasing flexibility and reliability in flight schedules. The hazards of ground transport (like Improvised Explosive Devices) are avoided. Hazardous goods like munitions can be transported without compromising the safety of humans. MUCA can in some respects be made more survivable than manned aircraft (for example, by stealth). MUCA may well be much more efficient than manned aircraft in terms of cost per tonne of cargo transported. Although loss of a MUCA disrupts operations, no crews are put in harm’s way, and replacement of crews (often much more problematic than replacement of material) is not an issue. It gives the opportunity to evaluate configurations that potentially have high payoffs but also high risk. An example is a blended wing body (BWB) with distributed propulsion. While the risks may be too high for a civil aircraft, the payoffs may be great enough for a MUCA. Because the development of MUCA literally starts from scratch, designers have unprecedented freedom. For example, it may be possible to make MUCA survivable without the heavy and complicated structures that make military cargo aircraft largely unsuited for civil applications. Examples are; omitting a pressurized cabin, applying distributed propulsion, applying a BWB shape that is both stealthy and aerodynamically efficient and utilizing fire prevention systems that are not possible in manned aircraft. 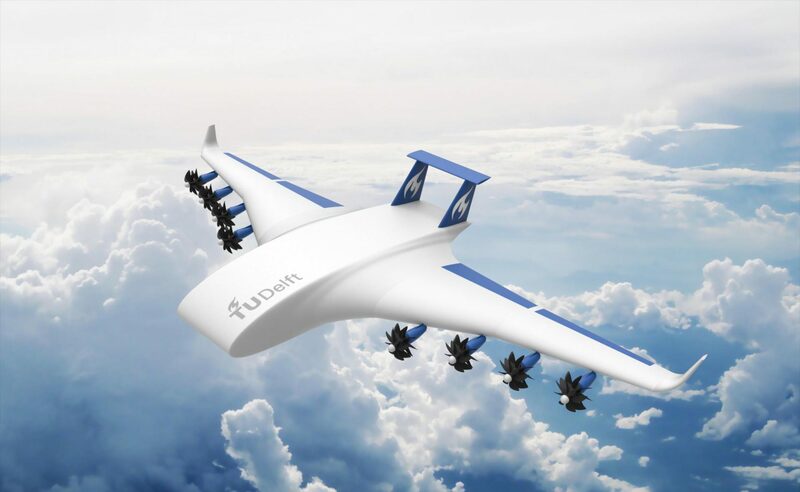 This opens the possibilities for utilizing dual-use subsystems technologies and for designing unmanned cargo aircraft for use by both military and civil organizations. The resulting production volume reduces development cost per aircraft built, and gives the military the flexibility of using worldwide civil support infrastructure, plus a surge capability by using civil UCA in times of crisis. As companies like General Atomics have shown, the market for unmanned aircraft need not belong to established primes like Boeing or Airbus. There are ample opportunities for small, innovative companies, especially in the airframe and systems engineering areas. Industrial partners can capitalize on established strengths in areas like materials, software, logistics and systems engineering. Even if the first flight of a MUCA is some time away, participating organizations can benefit already at the development state. Developed competencies can be used in other projects and new opportunities can be explored with partners in the MUCA effort. The biggest challenge is the ‘chicken or egg’ problem. Since there are no MUCA yet, there is no empirical proof for their relevance for prospective clients. As long as there are no clients willing to commit to MUCA, the risks for developing MUCA are relatively high. Besides, no one knows as yet which characteristics MUCA should have, for example in terms of payload, range or STOL capabilities. On the other hand, this makes development of a military unmanned cargo aircraft all the more attractive. A military development programme can be structured to provide some predictability in terms of numbers of aircraft built, and their specifications. It is conceivable that the military could share in the proceeds of use of technologies developed that are later adapted for the civil market, which is sure to emerge in the coming years.